Religion, morality, science, and the afterlife are complex and often misunderstood subjects. What Do You Believe? is a dynamic and clear text that brings together a variety of ideas of on religion. They are clearly presented for children to understand in a clear, unbiased text, and key concepts are broken down into manageable chunks of information with keywords that are simply explained. What Do You Believe? looks at basic teachings, practices of world faiths, philosophy, and more, and delves into the meaning and purpose of life. 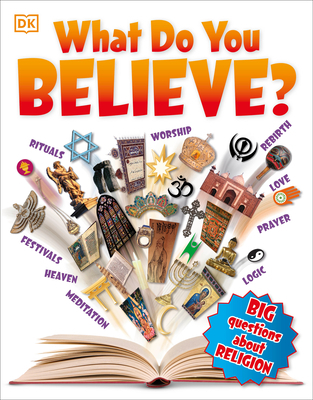 This book promotes understanding, tolerance, and respect for people whatever they believe.